Overdoses from the drug combination that caused Mac Miller’s death are on the rise in Pa. In this Oct. 2, 2016, file photo, Mac Miller performs at the 2016 The Meadows Music and Arts Festivals at Citi Field in Flushing, New York. A coroner on Monday found that Mac Miller, the Pittsburgh-raised rapper who suffered a fatal overdose two months ago in his Los Angeles home, died from "mixed drug toxicity" — with fentanyl, cocaine, and alcohol found in his system. 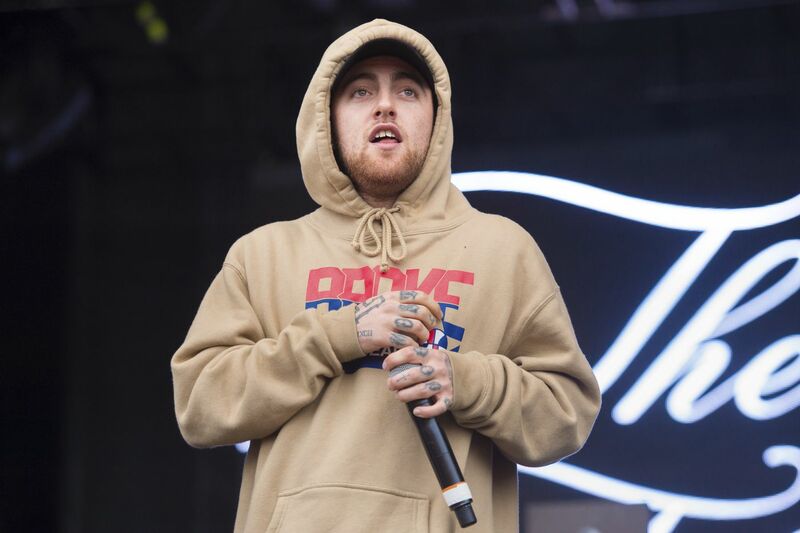 Miller, whose real name was Malcolm McCormick, was found unresponsive in his bedroom Sept. 7 by his personal assistant, the Associated Press reported. Miller, 26, had been open in his work about his substance use, and his assistant told investigators that he sometimes struggled with sobriety and had several recent "slips," NPR reported. The coroner's report described his death as accidental. The assistant and Miller's mother had both told investigators the rapper had been in high spirits about a new album and upcoming tour, the AP wrote. In Pennsylvania, deaths involving cocaine and fentanyl have been on the rise over the last few years, although it's unclear whether victims of those overdoses knew they were using fentanyl, the powerful synthetic opioid that has contaminated much of Philadelphia's heroin supply and is much more prevalent on the East Coast than the West. "Speedballs," the colloquial term for a heroin-cocaine combination, have long been a popular drug cocktail, used together for what is said to be a unique euphoria. Drug users could be seeking out cocaine and heroin separately — but instead of heroin winding up with the deadlier fentanyl, the U.S. Drug Enforcement Administration wrote in a January report on the drug combination's prevalence in Pennsylvania. "People may not be aware of fentanyl being present [in cocaine], or they may assume it's not there, and mix it with heroin that also contains fentanyl," David Metzger, an addiction researcher and director of the HIV/AIDS Prevention Research Division at the University of Pennsylvania, told the Inquirer and Daily News earlier this year. This summer, in West Philadelphia, 20 people overdosed — two fatally — on what authorities believe was fentanyl sold as cocaine — a spike that had health officials particularly concerned since the purchasers, some of whom had used crack for years, had no tolerance for opioids the way heroin users would.